Geneva, Switzerland – June 15, 2018 – WISeKey International Holding Ltd (“WISeKey”, SIX: WIHN, OTCQX: WIKYY), a leading cybersecurity and IoT company, today announced that it introduced its first All-Blockchain IoT platform between China and the U.S., at the Stifel 2018 Cross Sector Insight Conference, on June 13th in Boston. This platform, which aims to deploy a trusted Blockchain as a Service (BaaS) platform, offers a secure and trusted way to connect U.S. based enterprises with their Chinese counterparts via a trusted ID based Blockchain, and facilitates the rapid adaptation of on-board Blockchain based solutions and services. WISeKey is cooperating with U.S. and China based companies, on building points of view, proof of concepts, policies, educational materials, addressing all the distributed ledger capabilities across different Blockchain schemes (public, consortium and private), with industry verticalization and domain specialization (IoT, transactions, messaging, etc. ), underpinned by the best underlying technologies from startups, our key partners and from the community. For more information visit https://www.wisekey.com/iot/. 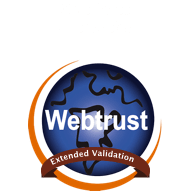 Digital certificates and associated cryptographic assets are used to identify and authenticate devices during their entire life. Only trusted devices can connect to secure networks. 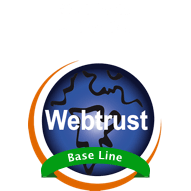 Digital certificates, for instance TLS certificates, can also be used to secure communication channels from devices to gateways/routers, and from gateways/routers to servers. These cryptographic assets are securely stored in WISeKey’s VaultIC range of tamper resistant secure elements. VaultIC is a product family, ranging from tamper resistant Integrated Circuits to software vaults, to be used as a companion to the IoT-device host processor. 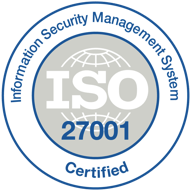 VaultIC chips feature a configurable cryptographic tool box for authentication, confidentiality and integrity, executed in a secure environment. VaultIC embeds on-chip non-volatile tamper resistant data storage capabilities for keys, certificates and customer data. VaultIC chips’ low-power consumption profile make them a viable solution to meet the limited power budgets of IoT devices. VaultIC comes with middleware enabling secure boot, secure firmware update for IoT devices and secure communication (TLS).  WISeKey (SIX Swiss Exchange: WIHN, OTCQX: WIKYY) is a leading global cybersecurity company currently deploying via a Virtual Platform large scale digital identity ecosystems. WISeKey’s Swiss based cryptographic RoT (“RoT”) and IoT Microchips provides secure authentication and identification, in both physical and virtual environments, for the Internet of Things, Blockchain and Artificial Intelligence. 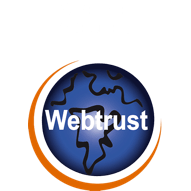 The WISeKey RoT serves as a common trust anchor to ensure the integrity of online transactions among objects and between objects and people. For more information, visit www.wisekey.com.